Hello! friends around the world! First, welcome to Korea! Here, you can enjoy many things including shopping, playing, and whatever you plan to do. As you know, I Si-young and my family have managed a Hanok Guesthouse in Seoul, called Bukchonmaru. and see some information about it if you want. We have a studio in which around 4 people could stay. [Way to arrive] Let`s see how to get to Cozy Studio. 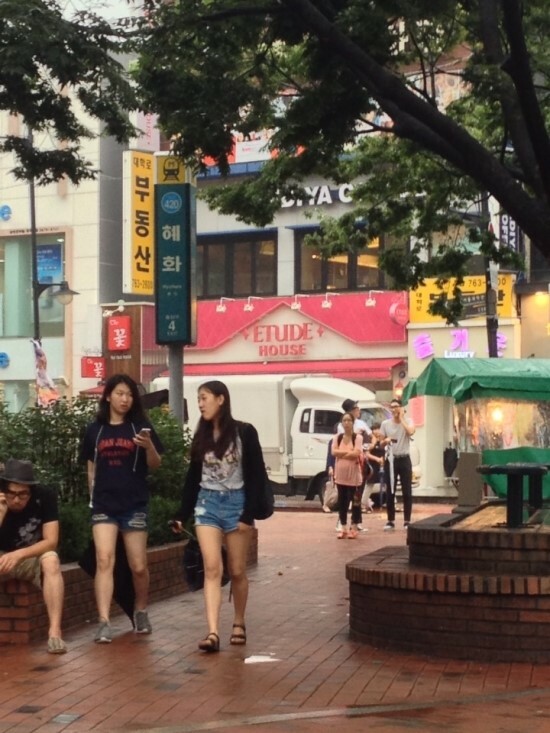 - go straight and cross the street, then You can find Hye-hwa Station. 2. 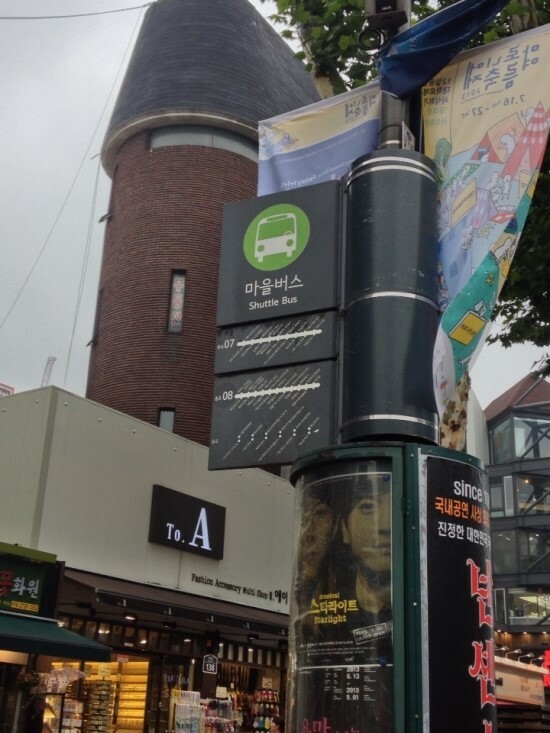 Take subway to come to Seoul station line number 4, and get off at Hye-hwa station. Or, You can just come to Hye-hwa station of Line number4. 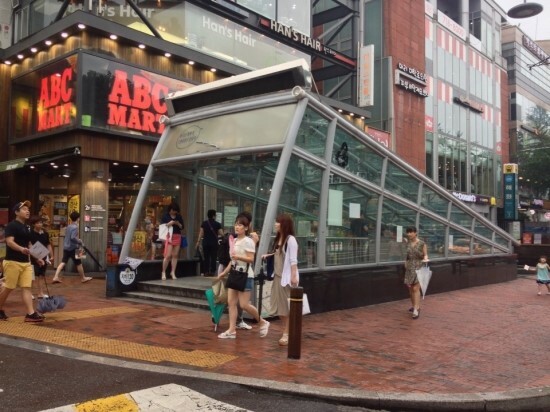 Here is Hye-Hwa Subwaty Station #4, if you come dowm from the house, you can get off here. Lets Go to our house. Here is Hye-hwa Stn #4. Go straight around 20m then you could see a No.8 minibus busstop. This is No.8 minibus. it costs 1,000krw. But what if you have T-money card and already took suway or bus, then this would be for free. You should swipe your care twice, get-on, and get-off. around 10 minutes from the station. You can get off at 양현관 Yang hyun gwan. you can say to the driver, Yang hyun gwan e seo ne rye ju se yo. 양현관에서 내려주세요. here it is. After get off, you can see a small road just left to the yang hyun gwan. here it is. you can walk straight, and over there pls turn right. here, you should go straight. and at a parking lot, please turn left. there is a small road like this. you can go upstairs, and then turn left. Over there, please make a right. Go stright to top please. 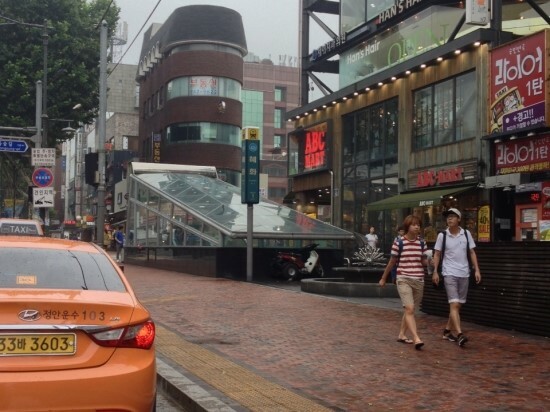 You can go up and can arrive our gate, 35-17, Myeong-Ryun 3ga, Jongno-Gu, Seoul. Please go upstairs and we finally arrived. Here you can go intoe the door. After you go in, you can see a door and it is! we have 4 studios here, We will use the 1st room that is in front. about the key and something else, we can contact by mail. Thank you. What if you want to stay in Hanok, then please send a mail, then I could explain how to book it. Here you can put the password, and we will regularly change the password. What if answering the phone couldn`t speak English or Chinese, then you can send a mail to us. We will reply as soon as possible!